While Marvel’s TV and movie worlds are both technically within the same storytelling universe, practically, the two are run separately. The TV characters rarely do more than reference the existence of the cinematic universe within their episodes. Fans would love to see their favorite TV characters make the jump to the big screen, but everything we’ve heard makes that sound increasingly difficult. Difficult, but not impossible, according to one producer. Nate Moore is an executive producer on Captain America: Civil War and he doesn’t sound nearly as down as many others have on the topic of bringing Marvel’s television characters into the movies. He tells /Film that he thinks the idea is very possible. The real difficulty is getting the timing right. I think it’s possible, for sure. It’s interesting that the TV timeline and the film timeline moves so differently because they tell stories so quickly, because they have 10 to 22 episodes. So sometimes it’s just hard for those things to line up perfectly. But we love that idea of, ultimately, say a Luke Cage, Jessica Jones, Daredevil, Punisher, Agents of SHIELD... maybe there’s a way to get ‘em back in there as long as it makes sense for our storytelling and doesn’t prohibit them from telling a story. We say ‘Oh, this happened to Daredevil somewhere in the future’ and they go ‘Well, that’s not what the TV show wants us to do.’ We don’t want that to start to feel like there’s friction, so we haven’t figured out how to do it, but we’d love to do it. 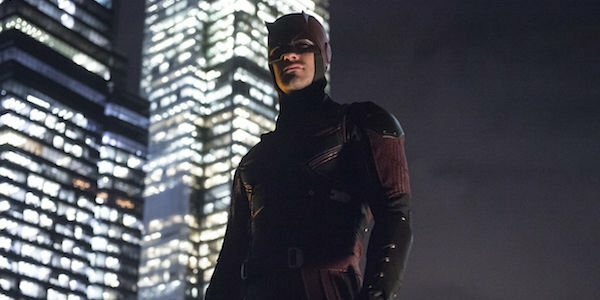 This is one of the few positive spins we’ve seen in recent months on the idea of seeing characters like Daredevil or Jessica Jones appear in the Marvel movies. For the most part, the actors from the series have been in favor of getting to play in that sandbox, but we get the impression that getting the two different sides of Marvel Studios to work together is only slightly less complicated that getting Spider-Man to join the MCU. We can see that the overall storytelling of the two can get tricky. Whatever happened to Jessica Jones in a Marvel movie would need to be dealt with in the next season of her Netflix show, and the creators of that show are currently writing stories that don’t take a big screen outing into account. It would be a major undertaking to get everybody’s creative department on board with something like this. Still, this is what Marvel does, so we figure they could do it. It’s just a question of whether they ever will. How badly do you want to see the Defenders join the Avengers? Is it time the Avengers knew Agent Coulson was still alive? Let us know what you think.